Arjuna attempts to hit the target while Krishna, Draupadi and Drupada watch. Listen to another episode of the stories of Mahabharata. In this episode, we go to the city of Kampilya in Panchala, where the Pandavas attend the Swayavara of Draupadi, King Drupada’s daughter. 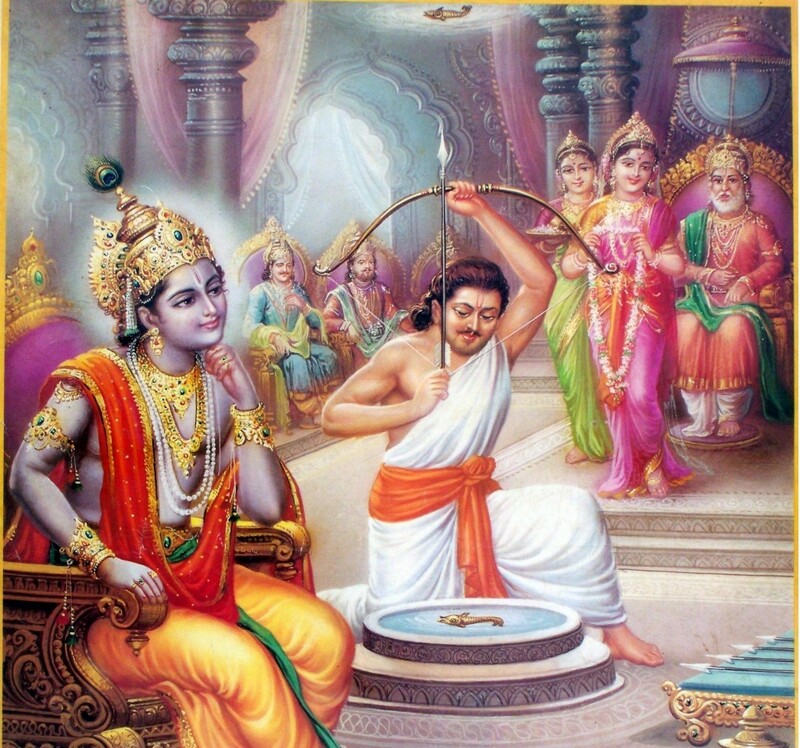 There, Arjuna passes the most difficult test set for an archer and wins Draupadi as his bride. Listen to the podcast below. And don’t forget to join our facebook page https://www.facebook.com/MahabharataPodcast.